Gau rakshaks: Beef returns to Goa’s dining tables, but for how much longer? Vigilantes are halting consignments of meat and cattle coming across the border from Karnataka. As a result, Goa’s only legal abattoir is struggling. Days after beef suppliers and traders in Goa called off a four-day strike last week to protest harassment by gau rakshaks and animal welfare groups, consignments of buffalo meat have started trickling into the state. But with anti-beef groups getting emboldened in the Bharatiya Janata Party-ruled state, it is becoming clear that the fight over beef in Goa could well get uglier. The strike was triggered by two incidents. On December 25, the police in the state capital of Panjim seized 1,300 kg of beef that it deemed had been illegally transported into the state. According to a news report, phenyl was poured on the consignment. On January 6, another 1,500 kg consignment of beef was impounded in North Goa. The daily local demand for beef in Goa, which has a large meat-eating Christian population, is about to 25 tonnes to 30 tonnes. This demand is now fulfilled mainly by meat transported from neighbouring Karnataka. On January 9, the meat traders association said at a press conference that they would resume business the next day after being given assurances by police officials that beef consignments transported from Karnataka would be certified by Goa officials at the Goa-Karnataka border and accorded police protection. 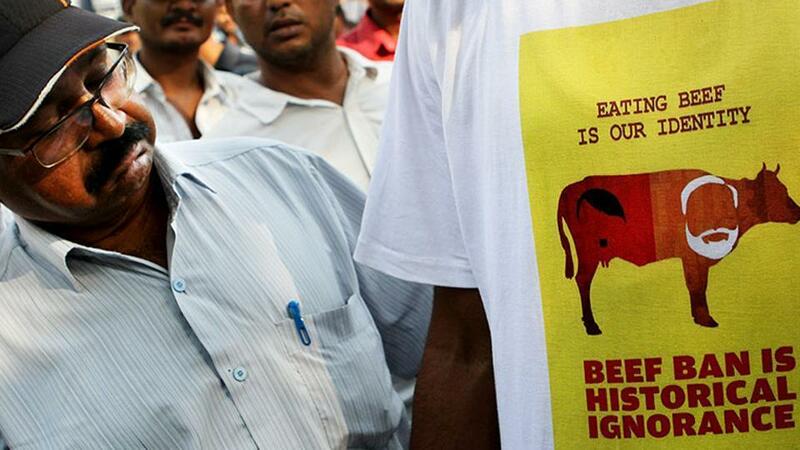 The slaughter of cows has been banned in Goa since 1978. When the government set up the state-run abattoir, Goa Meat Complex, it passed a law designating it as the only legal abattoir where the slaughter of buffalos and bullocks is permitted – if certain conditions are fulfilled. 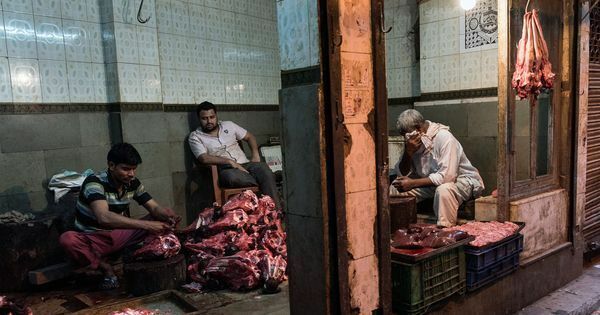 Because the state’s own cattle population is small, the 70-odd Muslim traders of the Qureshi community who operate the state’s fresh meat business used to transport livestock from Karnataka to the abattoir, and sell the meat in Goa’s municipal markets. However, this stopped in October after several cattle were impounded by animal welfare groups. In recent years, Goa’s beef traders have lost scores of cattle to gau rakshaks, who either release the animals or impound them in shelters. Hundreds of kilos of beef have been destroyed with phenyl or burnt, while many transporters have been arrested. The sudden strike led to the shortage of beef in local markets during the peak tourist and festive season, and an outcry from consumers. During the strike, Chief Minister Manohar Parrikar steered clear of commenting on the issue. Instead, he maintained the position he has previously state: that the legal supply of beef would continue in the state. Some political analysts say that Parrikar is trying to pull off a fine balancing act between the impulses of the BJP at the Centre, which favours a beef ban, and the party’s electoral compulsions in Goa. That essentially is a call for a complete ban. Maharashtra, Goa’s northern neighbour, banned the slaughter of bulls and bullocks in 2015. The slaughter of cows had been banned in 1976. Parab also said that his outfit did not have any faith in the government machinery and wanted to check the documents of beef traders themselves. 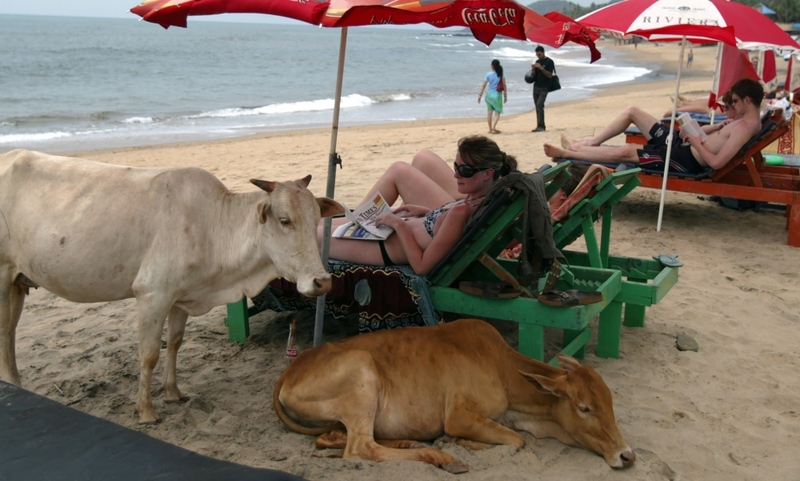 Others at the forefront of the anti-beef movement in Goa are honorary officers of the Animal Welfare Board of India, a statutory advisory body on animal welfare laws. At a press conference on Friday, these honorary officers denied accusations by beef traders that they were involved in throwing phenyl on seized consignments of beef. They hit back at the traders instead, alleging that a beef mafia functioned in Goa and was involved in cross-border cash transactions that could be used to fund terrorist activities. The beef-supply crisis has been a long time in the making. A decade ago, anti-beef campaigners fired from the shoulders of animal protection non-governmental organisations operating in Goa to tighten the screws on cattle transportation and beef supply. Slaughter in local markets slowly stopped after these groups regularly complained to authorities, leading to frequent raids. After this success, gau rakshak groups targeted the Goa Meat Complex. These groups have opposed mechanisation of the abattoir and have constantly alleged illegalities there. In 2013, the High Court was petitioned. The petitioners alleged that underage animals were being slaughtered in the abattoir in violation of rules. The complex was forced to close. The abattoir was upgraded at a cost of Rs 13 crore to meet the requirements of the law, and reopened in May 2016. But it struggles to stay in operation. It has the capacity to handle 300 animals a day but its 56 employees are constantly idle. In 2012-’13, 15,368 animals were slaughtered at the complex. This figure plunged to 78 in 2014-’15 before going up to 497 in 2015-’16, and 4,987 in 2016-’17. The anti-beef campaign in the coastal state picked up pace again in September, six months after the BJP returned to power for the second time. In September and December, honorary officers of the Animal Welfare Board were involved in two raids on illegal butchers in villages in South Goa. In October, honorary officers of the Animal Welfare Board got a court order on a plea related to the functioning of the Goa Meat Complex, and impounded animals at the abattoir. Traders said they lost 11 cattle that month and stopped bringing in any more. The facility shut down for the want of cattle. While state officials blame traders for not using the abattoir, animal husbandry minister Mauvin Godinho has indicated that the complex will be privatised. But with gau rakshaks obstructing the transport of animals for slaughter, it is unlikely that the abattoir will find private takers. With neighbouring Karnataka on the course of a toxic electoral campaign for its upcoming elections, with cow slaughter on the agenda, Goa’s beef politics could well get more intense.